There’s no denying the fact that shopping online and therefore ecommerce websites are more popular and mainstream than ever, especially during busy holiday seasons. That said, in today’s crowded ecommerce market, understanding how your site’s design, colors, and overall user experience affect whether or not a given user becomes a customer or clicks away and buys from your competitor can offer a competitive advantage over other sites not keeping track of these same design components. How your home page, landing page, social media pages, and emails look is perhaps the most important step towards winning over fans. You don’t get a second chance to make a first impression, after all. An elegant and intuitive home page, email, or landing page can go a long way towards winning over prospective customers in the long run. It starts with making users feel welcome. Make it easy for them to find what they originally came to your site with a prominent search box, the regular deals displayed on the homepage, and most importantly, avoid anything off-putting like music or videos that play automatically. After all, you never know where and when they are viewing your site. Yes, the colors you use do indeed matter – and what’s more, they can have a strong positive or negative effect on your audience. For instance, bright reds, yellows, and oranges tend to evoke passion and even a little of aggression, while blues and greens can have a calming effect. In addition, different colors appeal to men and women in various ways. Everyone knows that pink and purple tend to be commonly used when marketing to females, while more typically masculine shades like deep greens, blues, and grays are used to reach males. Web design is about more than creating a beautiful and aesthetically appealing site; rather, it is about the overall user experience. You want to make it as simple as possible for your users to get from their initial interest to making a purchase – and that starts by looking upstream. 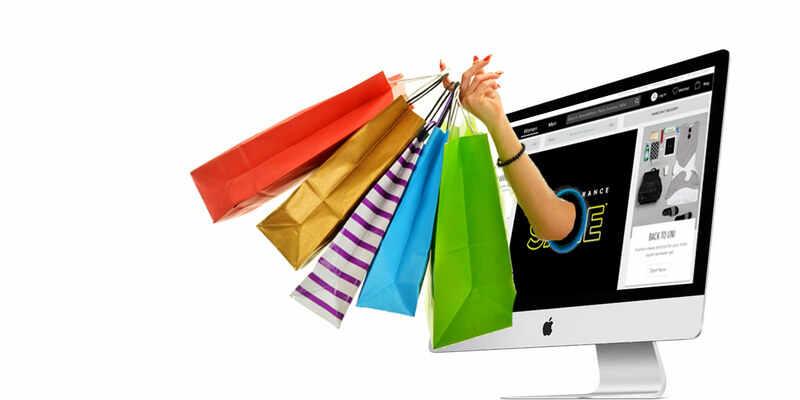 Your ecommerce site’s design is about much more than just the colors you choose, how prominently your logo is placed, and any other superficial or arbitrary design factors. The way the navigation works, how you have placed your breadcrumbs on various search pages and product pages, how you’ve organized your categories, and subcategories, and simply how easy it is for your users to find their way through your site, discover new products, and make their buying decisions. If you’re willing to be creative, QR Codes can even play a role in your sales strategy. With the increasing relevance of mobile use in the online market, placing relevant QR codes in the proper places can drive customers directly to the things they want to see. The final step in any ecommerce sales process is when your customer changes from a prospect to a client – and that’s when they click the “order” button. And you can – and should – design your site to make sure that every user has no barriers to entry in terms of making a purchase from your ecommerce website. At the end of the day, your site’s design and overall structure are the most important factors in the complete user experience. And what’s more, it is all about how comfortable and confident your site makes your prospective customers feel. I already have a Facebook page, I don’t need a website.